When we search about Google Adsense account disabled, seems like it happened to many people, and most reason are invalid click activity, either by user or someone else. I got these experiences about twice. Google email me that my account is disabled because of invalid click activity. I didn't clicked to my Adsense account by myself, neither by my friend or my colleague. I manage my blog myself. I also never ask my friends to click on my Adsense. With those reasons, Google still reject my appeal. If this happens, what should we do?. When your Adsense account is disabled, Google gives you a chance to send objection through appeal form. If you're lucky, your account will be reactivated. But, seems most of them were rejected. I have send appeal form, and Google rejected my reasons. If you still want to deal with Google Adsense, create new Gmail account, then using your other website (not your previous website that appear invalid click activity), try to create new Adsense account with your new Gmail account. 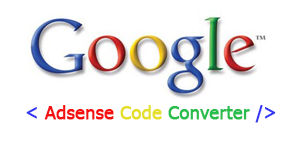 There are Adsense alternatives that can be your revenue. Among all alternatives, Chitika, and Infolinks look like the best. Chitika can give revenue almost closed to Adsense. Infolinks gives the most click probability because of its in text ads, and the revenue is not so bad.